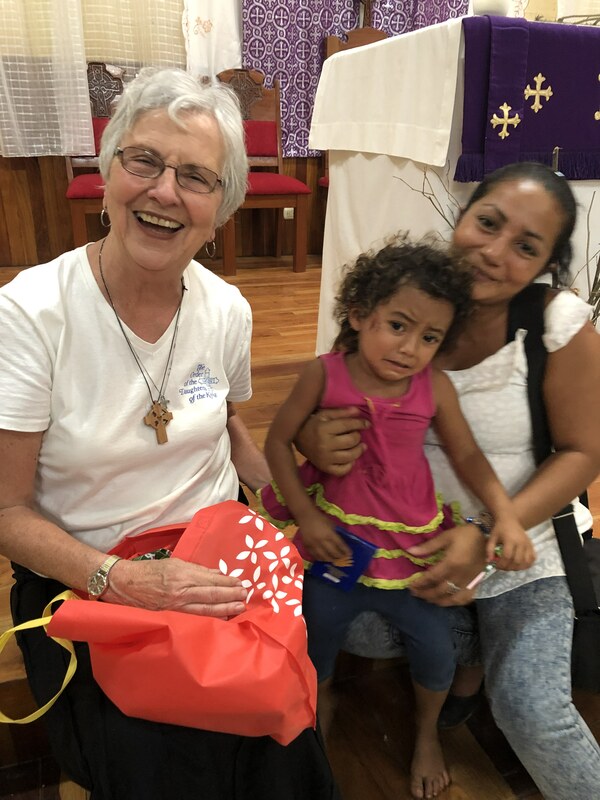 At the end of July, eleven us of from our Diocese, including eight from the Shenango Valley, spent eight days on a mission trip to the Dominican Republic. After spending the weekend getting acclimated, preparing, and attending worship, we helped with a Vacation Bible School in the morning and ran an eyeglass clinic in the afternoon. We also had opportunities to build relationships with a number of people from the church over meals and other fellowship time. The trip was successful, based on the outcomes we could see. The Bible school grew each day as children from the neighborhood invited their friends, and the games and crafts we brought to accompany the local teachers’ Bible lessons seemed to go well. We were also able to match up over 100 people with eyeglasses that met their needs, including some for senior citizens who had never had glasses before. Seeing the joy on their faces as they could see clearly for the first time in decades or even in their entire lives was a real blessing. Everyone on our team was able to find God at work during the week and learned something about themselves and life in the Dominican Republic. 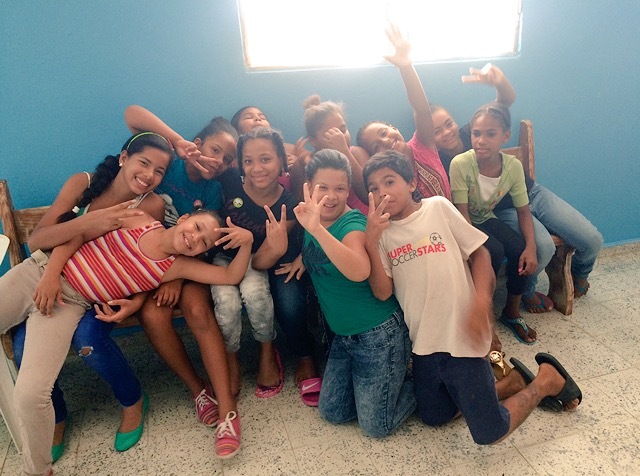 Mission trips, regardless of the destination, are important because our God is a sending God. In the scriptures, we hear God repeatedly telling people to “Go!” Abraham is told to “Go!” Moses is told to “Go!” Isaiah is told to “Go!” Jesus sends out the 12 and the 70 and tells them to “Go!” Jesus’ Great Commission begins with “Go!” In those rare instances where Jesus says to “stay,” the staying is only temporary. “Stay in the city until you have been clothed with power from on high,” Jesus says to his disciples before ascending (Luke 24:49). After the Holy Spirit descends those same disciples will be witnesses, going from Jerusalem to Judea, to Samaria, and to the ends of the earth. We know that God even sent his only Son to come into the world. God is all about sending. Going means that we leave behind our security and our established ways of doing things so that we can be open to what God might have in mind. Going means caring more about sharing God’s love and good news with someone else than our own comfort and convenience. Going means that we offer ourselves to be used by God however he can use us to touch other lives. 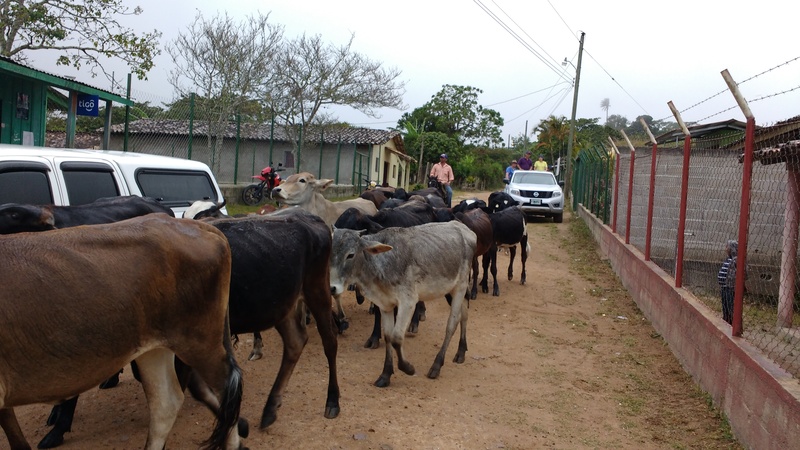 When we are sent on a mission trip to another country, we may be giving up our language, our familiar foods, and potable tap water. We may have a program to implement, but have never met the individuals with whom we will be sharing Christ’s love. When we are sent within our own communities however, what we are giving up can be much more difficult. We may need to give up our judgments and resentments toward someone. We may need to give up our certainty that nothing will change. We may need to give up our control or our comfort with a situation or relationship. Instead we can offer God the gifts we have and use them where we are sent without any expectations except that God will be at work. We might cook a meal, watch someone’s children, share some music, offer prayers, or just be a listening ear. If we are obedient to God and go where God sends us, we can rest assured that God will do the rest. 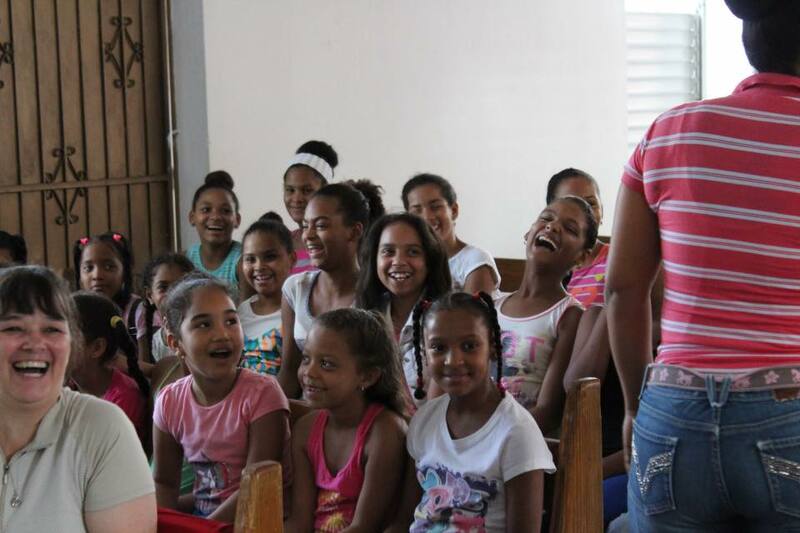 We saw God show up in numerous places when we went to the Dominican Republic. Imagine how you will see God at work when you go where you are sent. 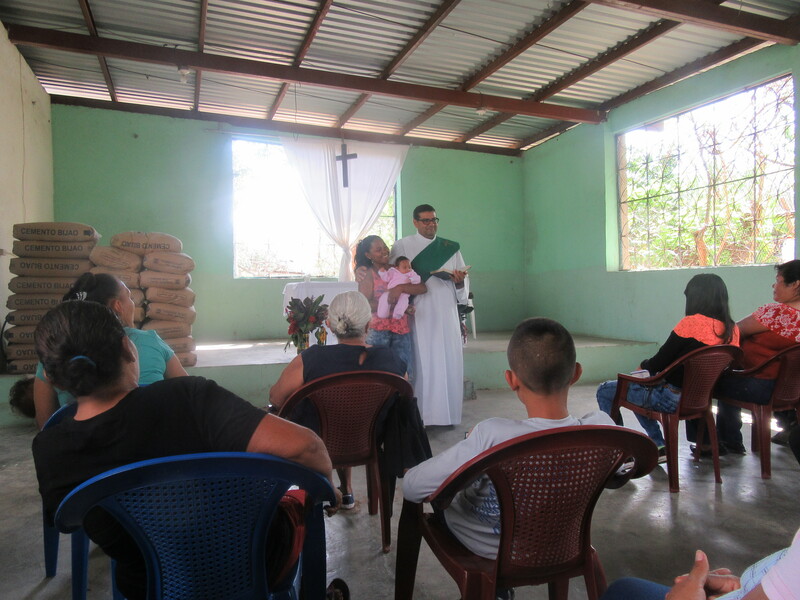 The Diocese of Northwestern Pennsylvania will conduct a third mission trip to the Dominican Republic to work with our partner congregation, Cristo Salvador, from July 21-29, 2017. 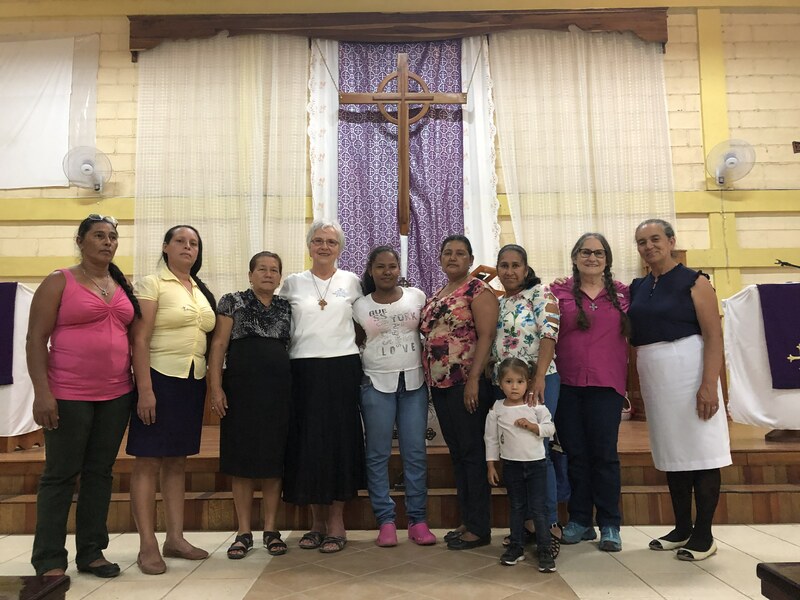 Cristo Salvador Episcopal Church in Santiago offers hope amidst the drug use and poverty of their neighborhood, ever trying to reach out to those around them. With this in mind, rather than simply sending money and never meeting one another, folks from our diocese will work with the folks there, getting to know one another, learning from each other, and experiencing different ways of life. 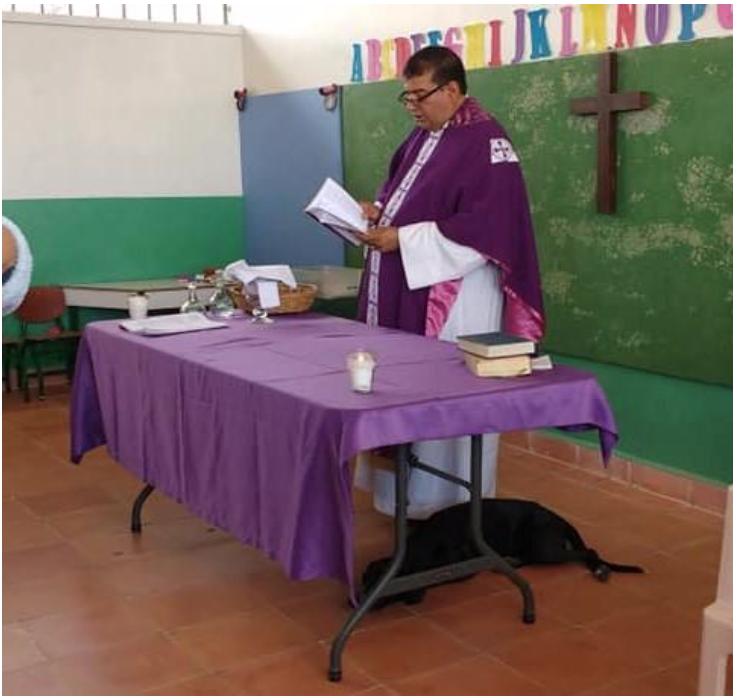 We will also assist with the church’s Vacation Bible School, which will help Cristo Salvador proclaim the good news to the youth and adults of their neighborhood. We are going to support them, hoping that what we do furthers their ministry in that community. 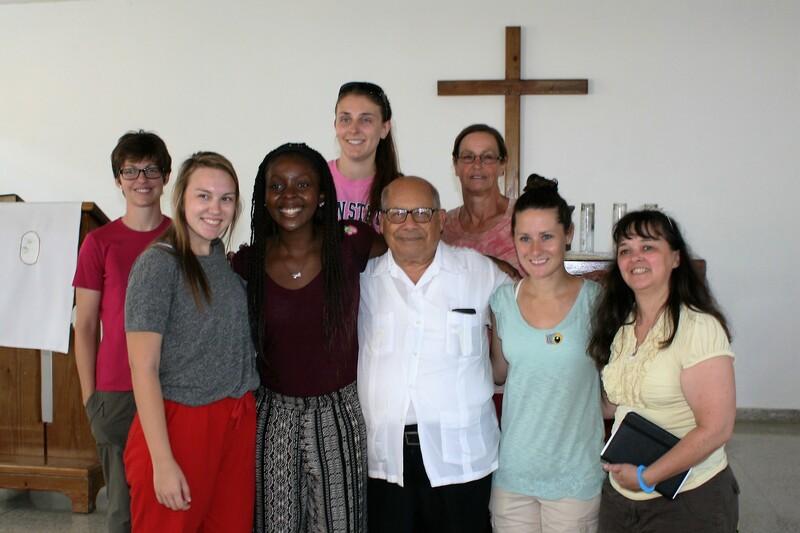 You can read more about our diocese’s relationship with Cristo Salvador and the mission trips in 2015 and 2016 here. 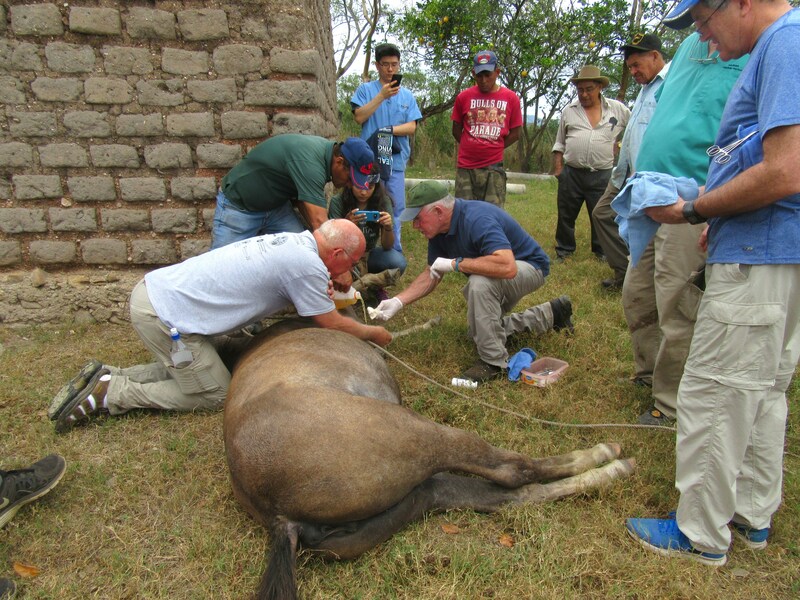 We are currently accepting applications for volunteers for this year’s mission trip through February 15th. More information about the trip can be found at http://dionwpa.org/our-diocese/mission-trip-2017, as well as an online application. Please note that at this time you must be 15 years of age or older to participate in the DR Mission Trip. If you have further questions about the trip or how to apply, please contact the Rev. Melinda Hall. We look forward to sharing the experiences of this year’s group of volunteers this coming July! This is a post about the partnership between the Cathedral of St. Paul and Emerson-Gridley elementary in the City of Erie public school district. I remember it very well, my first-grade classroom at Asbury Elementary in Millcreek Township. I loved everything about it. I was so excited to finally be able to go to school and could hardly wait for the first day. My mother made me a special new dress; my name was embroidered on it so my teacher would know my name at a glance. Our desks were in neat rows and I sat in the front of the room. I remember this because our music teacher would roll the piano into our room right in front of my desk. I would watch her fingers fly across the keys, sparking my interest in piano lessons and asking my parents for a piano. Now fast forward to this past February when I was heading into a first-grade classroom at Emerson-Gridley to volunteer. I had all of the clearances and training required and was excited about this opportunity. Probably not as excited as anticipating my own first-grade experience, but excited about spending time in a classroom. I have always felt the pull of becoming a classroom teacher, either in music or general education. My degrees are in organ performance, choral conducting and church music, applied music, not music education. At many points in my education and career I have considered adding teacher certification to my credentials. When the Cathedral began its partnership with Emerson-Gridley and the call for volunteers in the school came along, I thought it was the perfect opportunity for me to give it a try. So my first day began by meeting the school guidance counselor who took me on a tour of all the first grade rooms ending in Mrs. Steele’s classroom. This is where I would be volunteering. Mrs. Steele welcomed me and introduced me to the class. The walls in the room were brightly decorated. There was a “Word Wall” with columns of words under each letter of the alphabet that the students were learning every week. There was a list of the children’s names on one board. I could only pronounce a few without help. The desks were grouped into three or four sections, not rows, and there was a carpet on the floor for story time. She asked the students to read at their desks and then called on a few children and me to sit with her to read aloud. We worked together to help students sound out words and read sentences. Once she saw I was comfortable working with her students she asked me to work with several children who needed some extra help with reading. We made flashcards and played relay games and all sorts of things to help them recognize the difference in their “w” and “wh” words. I was hooked. I knew my Monday mornings from then on would be spent with Mrs. Steele’s class at Emerson-Gridley. As that first morning progressed, one student left the room and came back with a box of snack bags for the children filled with cherry tomatoes. Every day the students are given a mid-morning snack of fresh vegetables. They look forward to it. If the designated child doesn’t remember to go for it, she is reminded by her classmates. She always offers me a snack, too. She and others in the room often express concern that I might be hungry, too. The students all receive a hot breakfast before class begins, a mid-morning snack and lunch. Many stay after school for another snack and some for dinner before going home. Monday morning is difficult for them. Many do not have regular meals at home and they are very hungry when they come to school after a weekend. It is not unusual for several of them to fall asleep with their head on their desk while I am there. There are lots of red and watery eyes looking up from a book or paper as they struggle to stay awake and concentrate. Now they and I are anticipating the end of the school year. I have been going weekly and have developed a good relationship with the class. Mrs. Steele has given me the freedom to prepare a music lesson each week. We are working on developing a steady beat, following directions, using body percussion, chanting poems using their rhyming words and recently added playing percussion instruments. They love to share their latest achievements with me, “Mrs. Downey, did you know that I….” Now I share their mid-morning snack with them. We chat and giggle about the fresh green pea pods or juicy tomatoes or squishy cucumbers. I love the big smile that comes across each face when I call them by name. I love it even more when they cheer when they see me come through their classroom door with my bag of instruments. I think about each child often. They are now in my prayers, not just as students at the school but as individuals with names, faces and feelings. Some days I leave in tears because so many were overly tired and out of sorts. But more often than not, I leave with a big smile on my face and a happy heart. The City of Erie schools are stressed. The administrators and the teachers are stressed. And most importantly, the students are stressed. A volunteer’s job comes with little stress: just show up and spend an hour or two a week in a classroom with some amazing children. Learn their names. Talk to them. Smile at them. Read to them. Love them. And pray for them and everyone who works to care for and nurture them. You will be hooked. And you will never be the same again. Welcome to a new series where we will hear from Nina Palattella about her experience as a Christian in her senior year of High School. Nina will write a blog post about once a month over the course of the school year. This is her fourth installment. Click here to see the others. Hello and welcome to my fourth blog post! I hope that everyone had a safe and enjoyable holiday season. I spent a good amount of time with my family, both those who live in my city and those who have traveled in for the occasion. For this post, I wanted to explore an aspect of life that is central to the Christian faith and often emphasized throughout the holiday season for all: charitable giving and volunteering. Whether in terms of volunteer work, financial donations made directly to the church, or the donation of one’s time and resources to help another person, charitable giving is a cornerstone of the Christian tradition, as well as in other religions. The amount which it is considered appropriate to tithe is widely debated; a quick Google search of the subject retrieves almost three hundred thousand results, each presumably with their own suggestions. One such suggestion I can recall being tossed around over the years is that each member of the church should donate ten percent of his or her income, but there are many cases when ten percent would be asking far too much, and others in which the same amount seems insignificant. I’ve matured considerably both as a person and as a Christian since I was first introduced to this hypothesis, and sometimes I can’t help but wonder how Jesus might have imagined his teachings as they apply to modern economics. 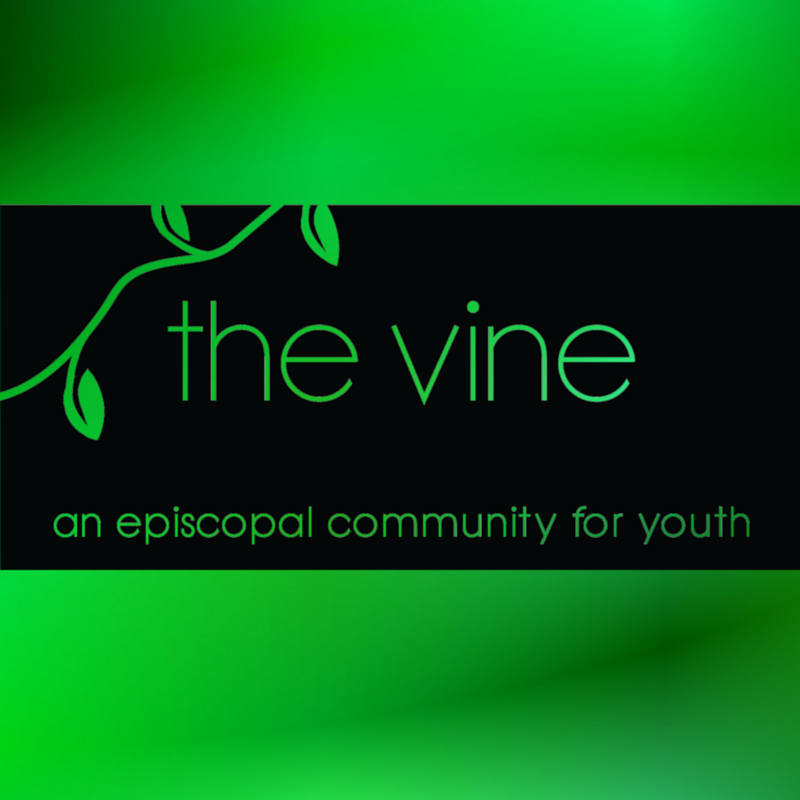 I have recently had two personal experiences with charitable giving at work: in late November, I had the opportunity to take a tour of the Erie City Mission with my youth group, The Vine. 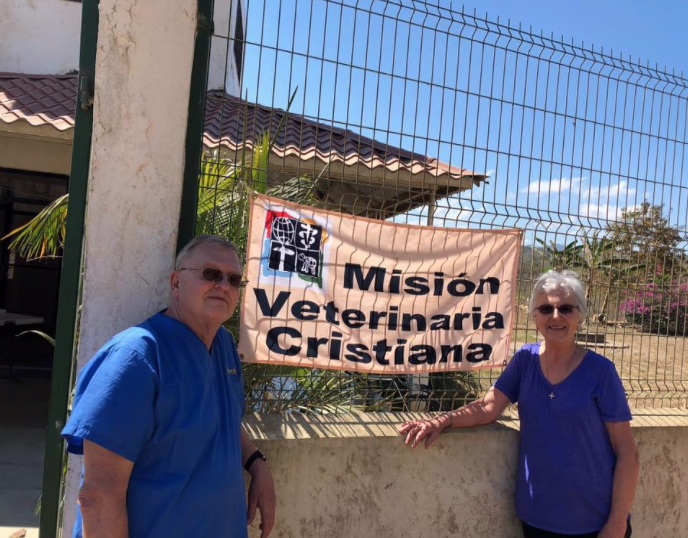 According to its website (www.eriecitymission.org), the organization is one of 275 nationally associated “Gospel Rescue Missions;” unlike government entities, rescue missions can attend to local needs without requiring a community-wide consensus to do their work. I had a general idea of the help the City Mission provided in the community—I knew that they hosted community dinners, I was aware that they offered temporary shelter for those in need—but until this visit I woefully underestimated the scope of their programs and the commitment they require. Not including the meals that are provided to program participants, the website states that the organization provides “3 meals [a day], 363 days of the year, to more than 151,000 women, children, and men.” Our group was taken through one of the dormitories for the emergency men’s shelter—it was sparse, but astonishingly clean, thanks to the meticulous laundry and hygiene regiments that are demanded of the individuals who stay there. The shelter can house up to 56 men for a maximum of 60 nights per person; if, 30 days after the original 60 days ended, a former resident is still in need of shelter, he may reapply for an extended stay. I had not known about this policy, and the generosity of it struck me. 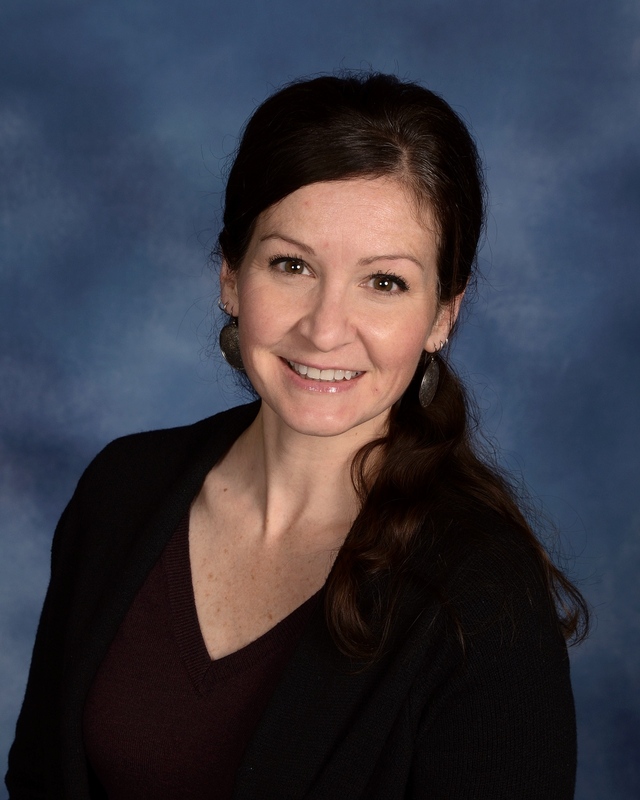 In addition, the organization has rehabilitation programs that range in length from eight months to one year, with emphasis on spirituality, overcoming addiction, and becoming reconnected to the community. The City Mission has several campuses in and around the city that offer ministries for children and women as well, which are in high demand but shorter supply around the city. Learning about the extent of the City Mission’s efforts made me realize that, in order to better a community, it takes the effort of the entire community. Because I am off of school and he is home from college, my brother and I were able to volunteer at my church’s food pantry distribution. This distribution happens on one morning every week; it is usually on Friday, but because of the New Year, this past week it was changed to Tuesday. The regular volunteers told us that they had been distributing an average of 90 bags in recent weeks, and they told us that they were predicting an attendance of at least eighty for this week. Before the distribution started, I assisted in dividing fifty pounds of individually wrapped candy bars into bags of ten, and then I was assigned to a table where I was charged with handing out said candy, as well as jars of peanut butter and boxes of raisins. By the time my brother and I left almost two hours later, we had served only forty-five clients. However, just because our efforts directly benefitted fewer people than in the past doesn’t mean that they were wasted; every person whom we served was kind and polite; many of them thanked us and enthusiastically wished the volunteers and other patrons a happy holiday. I saw a connection between this experience and my thoughts on donations described at the beginning of this post—I believe that the number of people you help matters less than your effort to do so. 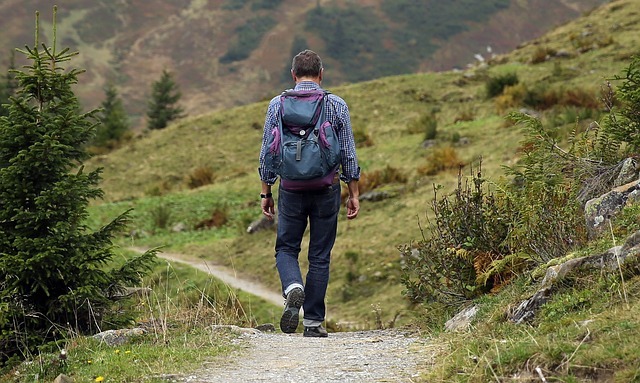 Jesus calls his followers to “go forth in the world” and make a difference in His name, and if we are trying our best to heed his words, then I think that we will find ourselves on a path that He would find acceptable. Donny began “How you all doing today? Who has something they’re sorry for today?” And there it was. The Holy Spirit was in the house. It was palpable. I just didn’t know it yet. A little earlier on that chilly, wet afternoon, I parked the car and found my way up the stairway marked with yellow. It was oddly quiet inside. Finding our way through the back hall into the kitchen, my 2 friends and I discovered folks standing around a prep table donned in hairnets and aprons. They looked ready. But no one was doing anything just yet. I needed to get started. One of my responses to nervousness is to let my tasky side take over. And unexpectedly, I was pretty nervous the afternoon I went to the Erie City Mission to participate in the first joint venture between St. Marks and St. Stephens for a Saturday dinner. I did not know the people from St. Marks well. I had never been to the Erie City Mission (ECM). And I had never worked in a commercial kitchen. So though I was excited about this outreach, I was antsy, too. We spent a few moments in introductions and then the work got underway. A few plated desserts. Some sliced buns for the barbecue. Others rolled the silverware and napkins. Shortly, the amazing Jackie Krukowski arrived. She leads the kitchen efforts at ECM. The buzz in the kitchen grew. We were all eager to be a part of this ministry. With initiative, teamwork and Jackie’s supervision, we were ready to serve with time to spare. I had volunteered to lead the blessing. You might think that was the source of my nerves, but it was really a very small factor. I’m a big ham. Donny, the greeter and coordinator out front, prepped me. He would talk first then I would start the prayers. To be honest, I was glad to have a warm-up act. That’s when Donny began with his “How you all doing today? Who has something they’re sorry for today?” And I felt the Holy Spirit. All I could think was “I don’t know what to say.” But wait. She needed someone to listen. I had to lead the prayer, so I turned to another volunteer and said “Can you go sit with her? Spend some time listening?” Her response told me that she was not a social worker, counselor or clergy. In fact, none of us were. But we could all listen. She said yes and Jackie showed them to a room where they could talk. We said our prayers, then Donny organized the tray line. 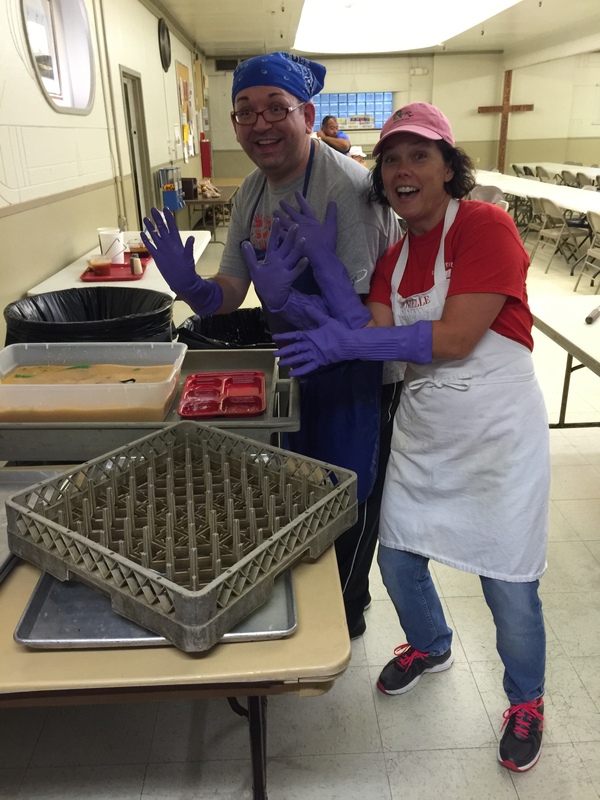 We began serving and, in no time, needed to start the dishes. The guests were so kind and gracious. One guest told me about a place where the young woman might find help. I shared it with Jackie, and she marched off with purpose. Another said, “How can that father turn his back on that girl? I have 2 daughters and I would do anything for them.” He winced and walked away with tears in his eyes. Finally there was a break for Jackie and she asked me what was going on with that young girl. She had missed the opening. I briefly told her what had happened. And in a flash she responded with “That’s God’s work right there.” That’s when I knew it. That’s when I understood the palpable change in the air from earlier. We were a group of people from 2 churches. We just wanted to do some outreach. We knew that the ECM still had some Saturdays where they needed meals. We came together not knowing much about each other. We laughed. We enjoyed each other. We got the work done. I’m guessing nobody expected the experience with that young woman. But I am pretty sure it’s safe to say that when we left, we knew it was God’s work. We had been given a chance to help a few folks feel better for a few hours. Lucky us. I am a lowly student of human behavior. I continue to search for my path in life and what God’s plan is for me. And there is so much I do not know. But I believe that on that day we were each agents of the Holy Spirit. Maybe that is what the nervousness was about. Welcome to a new series where we will hear from Nina Palattella about her experience as a Christian in her senior year of High School. Nina will write a blog post about once a month over the course of the school year. This is her second installment. Click here to see the first one. Hello again and thank you for joining me for my second blog post! I hope you have all had a swell month. My time has been occupied by the beginnings of college applications and lots of essays as my senior year of high school has progressed in full force. In addition to the new school year, the arrival of the fall season also brings a new year for my youth group, which led me to the idea to make this post about Christian outreach. I would suggest that any teens and youth in the audience especially stick around for this one—make yourself comfortable and stay a while! When I was younger, I participated in youth programs that were specific to my church, such as Sunday school and Rite 13, our small teen fellowship group; last year, program leaders from three churches in the Episcopal Diocese of Northwestern Pennsylvania in my area, including my own, banded together with the idea to combine the youth groups from the three churches into one “Episcopal community for youth” known as The Vine; the group takes its name from a verse in the Gospel—“I am the vine; you are the branches. If you remain in me and I in you, you will bear much fruit; apart from me you can do nothing” (John 5:15). Anyone from those churches (and any friends who are invited and always welcome to join) in middle school through twelfth grade can participate in the group’s biweekly meetings that may include mission trips, fun outings or overnight gatherings. While the three congregations mentioned above constitute the roots of the group (pun somewhat intended), other churches in the diocese have helped the group and our mission, whether by spending time with our group, hosting us in their parishes, or simply by expressing their support, and with their help the impact that our work can have reaches far beyond the limits of our central congregations. 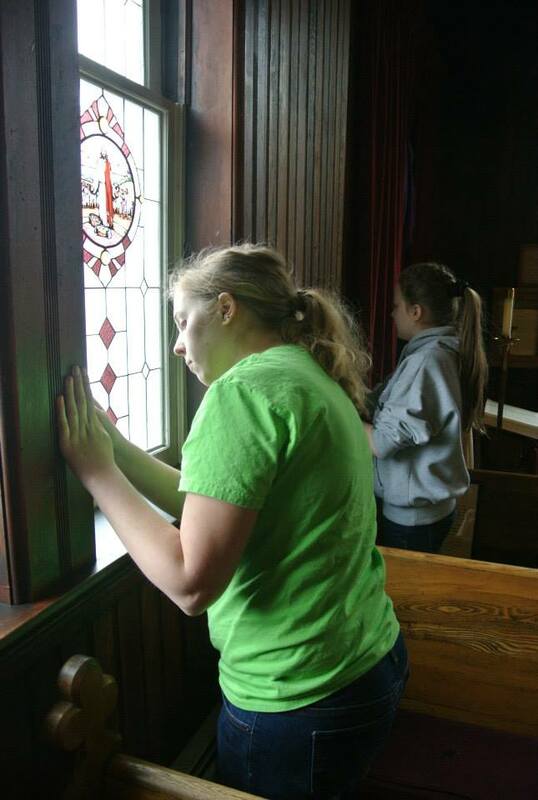 This past March, the Vine took a “mini-mission” trip to Holy Trinity Episcopal Church in Brookville, PA. I had never visited the small parish before, and I was stunned by the beauty of the church building; the wood in the church’s interior needed some restoration, and after the volunteers from Erie exchanged greetings with the members of Holy Trinity who would be joining us for the morning, we began our task, armed with buckets of polish and rags with which to do our work. It was nice to have a job that gave some degree of instant gratification—after a few minutes of polishing, the walls, pews and altars had a shiny, richer color; they felt smoother and better equipped to endure decades of more worship. 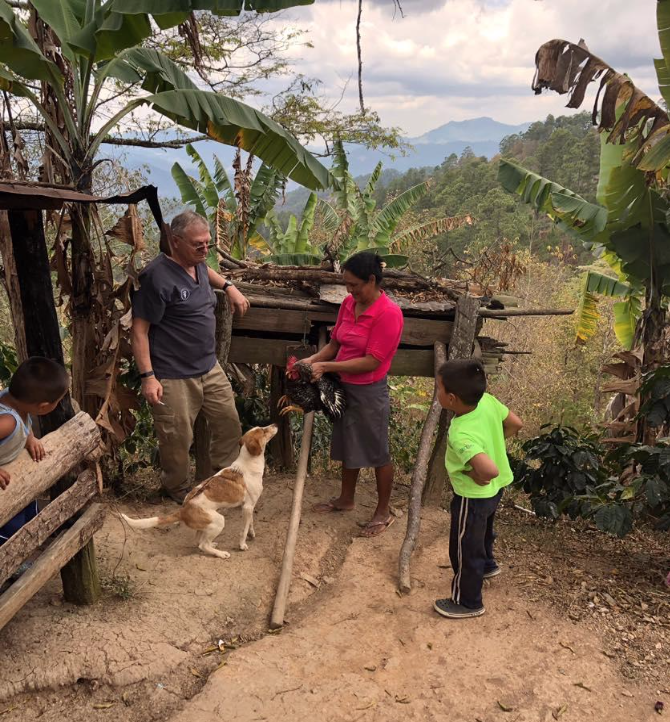 Once we had completed our labor, we were given a tour of the surrounding small town, and took part in a variety of activities, including a short late-night worship service and a movie. The next morning, the approximately twenty members of The Vine joined the regular Sunday congregation at Brookville for a spirited worship service led by Rev. Melinda Hall, a great preacher and friend whom I’ve had the pleasure of getting to know for the past few years at summer camp. Speaking of summer camp, this is a great time to mention that, while youth groups are likely the most common way that young people can get involved in their church and its ministry, they are by no means the only way. 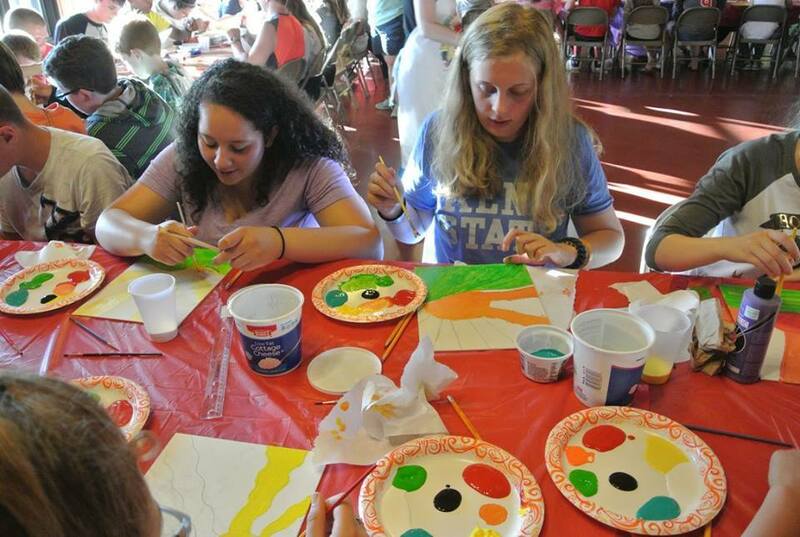 Each summer, I attend an overnight camp for Episcopal youth who have completed grades two through twelve, the majority of whom are from the Diocese of Northwestern Pennsylvania. Throughout the week, campers participate in many religious activities, such as daily Eucharist, program sessions based on that day’s Gospel lesson, and a Taizé service; in addition, the camp offers a variety of activities that are just plain fun, like hiking, crafts, 4 Square, and night swims (which is just about the coolest thing you could possibly imagine when you’re ten years old). It’s an excellent place where kids can get to know their religion, teens can explore how their personal faith is important to them, and everyone gets to build a community with each other that will remain after the week has ended. Though not every church may possess these opportunities exactly, each church has something to offer in terms of outreach, whether that means volunteering at community dinners or food pantries, handing out bulletins before the service, or simply getting to know some of the people whom you see every Sunday—but it doesn’t have to stop there or be just that. I’ve learned from the experiences described above and others that some of the best Christian outreach happens outside of the typical places like churches or even youth groups. It can be as simple as helping someone through a difficulty in their life or spending time with the people whom you care about. There are an infinite number of ways to be kind, and as Christians (and as people) that is what we are most called to do. I hope you enjoyed this blog post; please leave any questions or comments below! Jesús sat on the floor of Ms. Thomas’s office. Ms. Thomas is the guidance counselor at Emerson-Gridley Elementary School, and Jesús, a kindergartener, was in time out. Ms. Thomas took a moment before speaking with me to introduce Jésus and me to each other. Evidently, the teacher had needed a few moments of class sans Jesús, who was spending some quality time with Ms. Thomas, coloring and doing puzzles. Jesús was a bit disheveled, a bit loud, and looked like he might be a handful in class. But he was exactly why I was here. The Cathedral of St. Paul has made a concerted effort in the past few years to learn about our neighbors. 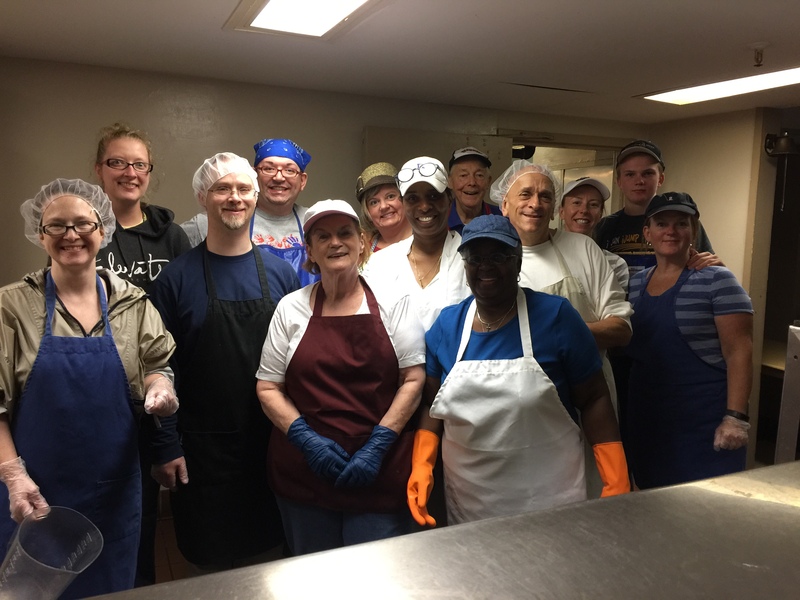 We have taken an active role in the Our West Bayfront organization, participated in the Neighborhood Night Out, hosted city planning meetings, hosted the Sunday Supper Outreach dinner, and, of course, we continue to house a busy Food Pantry. 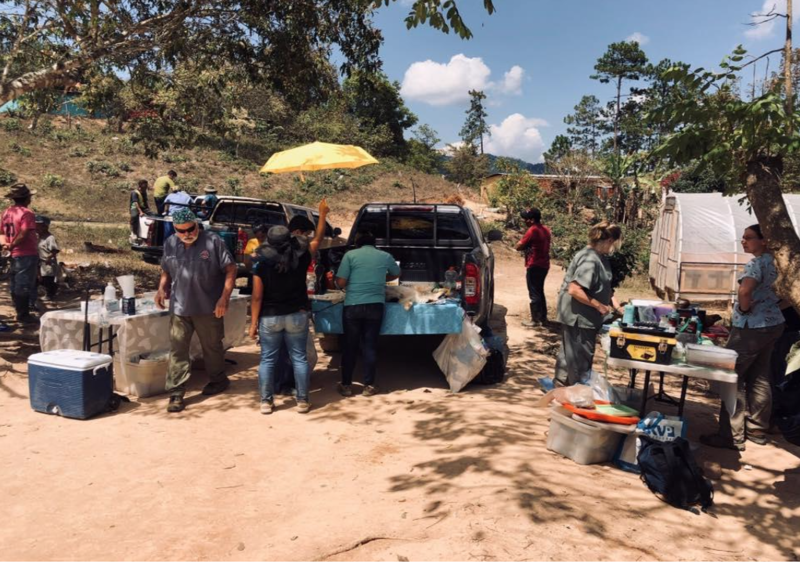 We’ve taken steps not only to become more aware of what’s going on in our small part of the world but also to partner with those working to make it better. 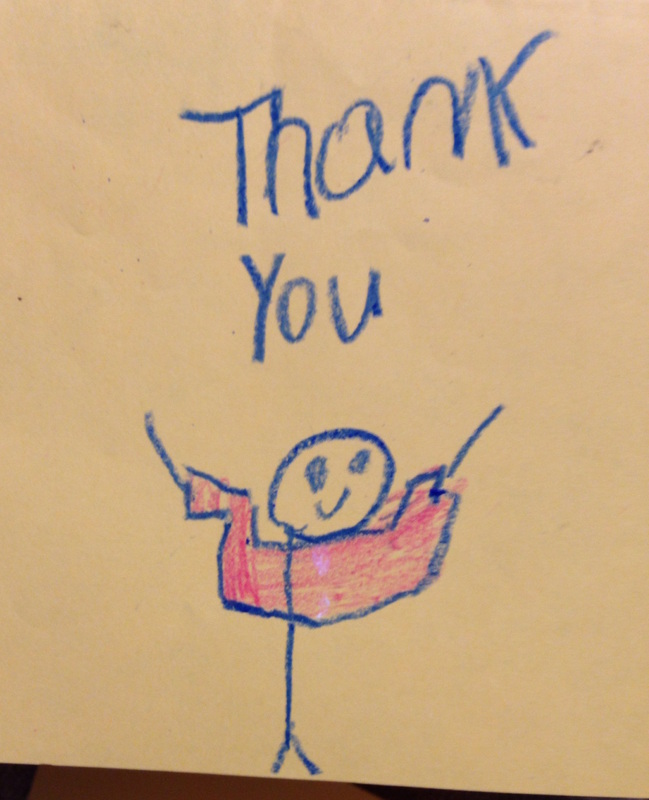 In this spirit, it seemed only fitting to contact our neighborhood city school, Emerson-Gridley Elementary. And that brings me to that day last May when I sat in Ms. Thomas’s office with Jesús. I had contacted Ms. Thomas to talk about the Adopt-A-School program and was very excited to see how we could support them. Emerson-Gridley lies in one of Erie’s most impoverished neighborhoods. Some families are refugees. Many breadwinners work minimum-wage jobs. Many live below the poverty line. What we wished as a Cathedral to provide through this new partnership was a source of consistent support for these folks through their children’s school, through teachers and school staff who have knowledge of how we might best help residents of this neighborhood. Our neighborhood. Ms. Thomas and I decided the best course of action would be for the Cathedral to partner specifically with the First Grade class. was filled with boxes of school supplies. After service one Sunday late in August, we packed 125 gifts bags with the supplies and a shirt, as well as a brief note of encouragement for each child. A Cathedral posse arrived at Emerson-Gridley’s back entrance on September 2. 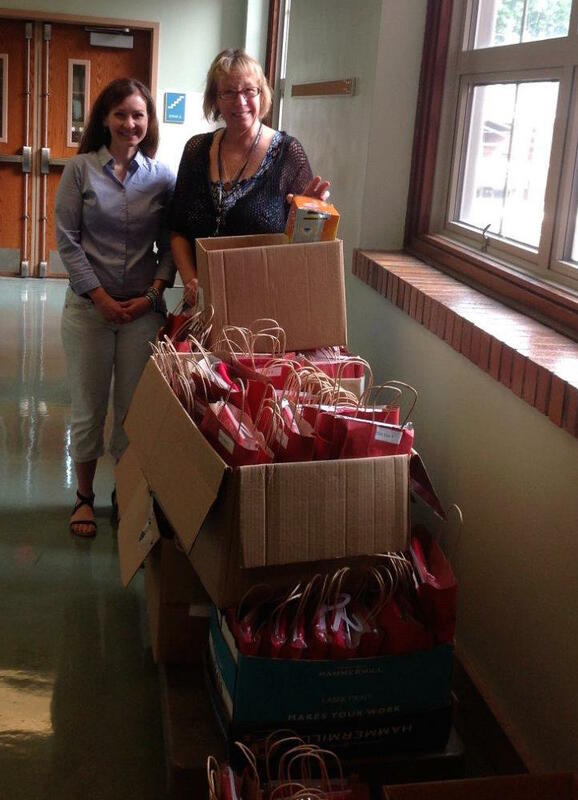 There were 5 of us – myself; Cass Shimek, administrator; Dean and Sharon Downey; and Beth Weddington, member and volunteer – many more than were needed for the job, but we all wished to share in the joy of bringing these small gifts and meet some new friends. Ms. Thomas took the time to introduce us to the First-grade teachers and students, stopping in each classroom to show the children what was in each bag and encouraging a warm “thank you!” in response. At one point, I was wishing there was something a bit more exciting in the bags – maybe a yo-yo or candy bar – but the reaction we got was gratifying nonetheless. More gratifying, still, was the huge envelope of handmade thank you cards that arrived a couple weeks later. Pictures and notes with sentiments such as “thank you, friends” and “I love my shirt” now adorn a bulletin board in our Commons. In early October, we were able to send funds to provide school buses to take children from Emerson-Gridley to a concert by the Erie Philharmonic on November 4 at Warner Theater. The concert is entitled “Musicalympics” and focuses on the various connections between sports and music. 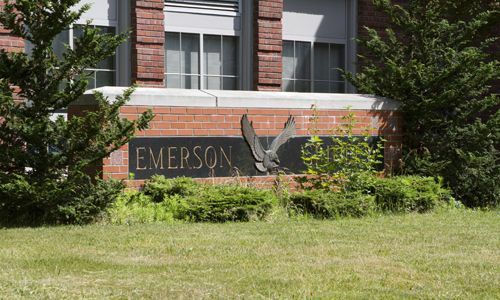 Emerson-Gridley will receive a curriculum from the Erie Phil ahead of time; complete with lesson plans, games, and audio CD and more. Field trips such as this are an expensive undertaking for our schools as buses usually cost about $200 per trip. What a joy that the Cathedral is able to provide this opportunity for fun and learning through music. And in process is one of the most important parts of our new partnership – readers and tutors to work with the children at Emerson-Gridley. 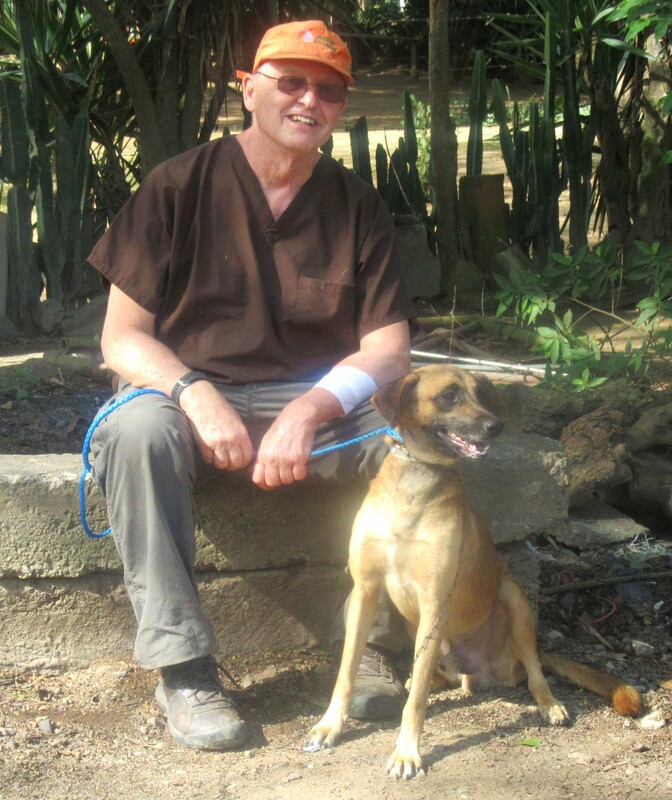 The Cathedral has 5 members who wish to help with children on a regular basis. Although it has been a lengthy process, I am finally getting all the necessary clearances taken care of for our volunteers, and hopefully we’ll be in the classroom before the end of the year. An invaluable resource in this new outreach has been the Partnership for Erie’s Public Schools. PEPS is a nonprofit organization working to strengthen Erie’s Public Schools by providing financial and community support in five areas: Arts, Academics, Athletics, Assistance, and Advocacy. We have also recently become a member of the All Our Children National Network. All Our Children promotes, supports, and strengthens effective partnerships between congregations and under-resourced urban public schools. Acting as advocate, resource, and convener, AOC nurtures and celebrates these church-school partnerships such as ours. The work is only beginning. But I do not wish to think of our new partnership as “work.” It’s a joy. A gift. A responsibility. A calling. And a duty to our neighborhood. Our city. To Jesús. To all God’s people.